The Rs 349 and Rs 549 prepaid plans now offer 2GB and 3GB of data everyday respectively and come with a validity of 28 days. Airtel has revised its Rs 349 and Rs 549 recharge plans to offer more data for its prepaid customers. Both the plans now offer 0.5GB of extra data. The Rs 349 has been updated twice now. The plan previously offered 1.5 GB of daily 4G/3G data and Airtel has now revised it to 2GB per day. Similarly, the Rs 549 prepaid plan offered 2.5 GB of data previously but it now offers 3GB of data every day. Alongside the data benefits, both the smartphones offer unlimited local and STD calls with free SMS (limited to 100 per day) and are valid for 28 days. The Rs 349 by Airtel goes up against Jio’s Rs 309 and Rs 399 prepaid plans which offer 1GB of 4G data per day over a validity period of 49 days and 70 days respectively. Jio users will also get free voice calls, SMSes and unlimited access to Jio’s suite of apps like Jio TV, Jio Cinema and more. The Airtel Rs 549 prepaid plan rivals Jio’s Rs 509 recharge, which offers 2GB of data per day and comes with a validity of 49 days. The Jio plan offers free local and STD calling and SMS along with unlimited access to the Jio apps mentioned above. 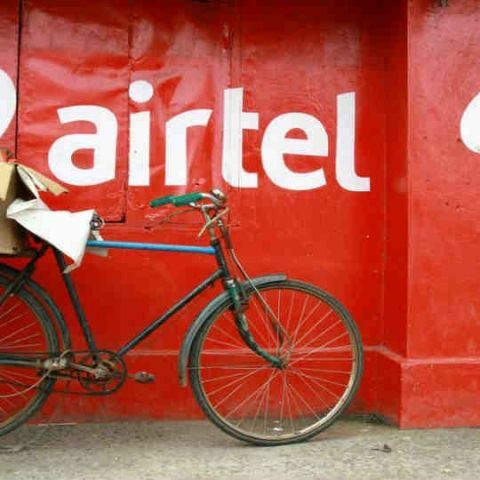 Airtel has been revamping its existing plans and introducing new plans from some time now. The telco recently introduced two new data-heavy prepaid plans priced at Rs 157 and Rs 49. Airtel, for select prepaid customers, is offering 3GB of 3G/4G data the Rs 157 recharge for 27 days and 1GB of 4G data for one day at Rs 49.